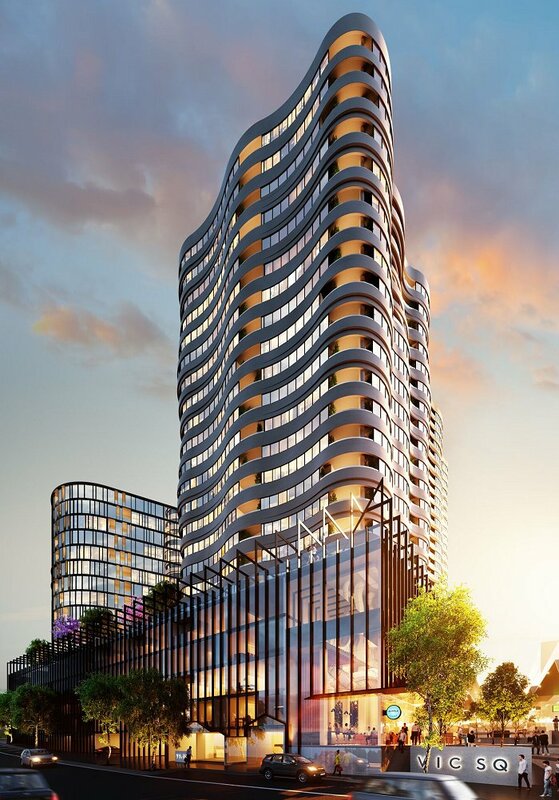 On the back of selling 90% of apartments within the first Victoria Square tower, developer Growland has launched the second stage of the development located in Footscray's Joseph Road Precinct. Growland will now pursue the local owner-occupier market even more vigorously in order to account for the bulk of the second tower's sales, having noted a decline in foreign buyer interest of late. The newly released tower has been dubbed VS02 and will include 168 apartments, spanning levels 4 to 21. This refocusing on the local buyer has seen a diverse number of floorplates and design options made available across VS02; the strategy allows the tower to be an attractive option for as many potential buyers as possible. Growland has also begun single bedroom apartment internals within VS02 from 61sqm, a considerably large size in relation to many other Melbourne apartment projects. Interest from foreign buyers is slowing due to regulatory changes, so the market has adapted to meet the preferences of the local owner-occupier market, which is quickly gaining in strength. There are many aspects of a project that need special attention to cater to this demographic. Quality, diversity, and flexibility are crucial. The scale of Victoria Square and VS02 means we can offer a significantly diverse range of residences. While Victoria Square is fantastic for young professionals, couples, and first-home buyers, there is a large range of larger apartments that are also perfect for young families. This gives it a unique position in the market place: it will be a truly integrated community in Footscray. The need to add a study or separate office to apartments has been superseded by the need for flexible work zones. We have integrated flexible nooks and activity spaces throughout the Victoria Square apartments so residents can use these for work, relaxation, or children can use them for homework,” says Kavellaris. This has meant we can adapt the floorplates to house the bigger bedrooms and living spaces that are crucial to creating apartments that modern families can enjoy over a lifetime. VS02's greater design diversity includes three kitchen designs, two colour schemes and a wide array of floor plates. One, two, and three-bedroom apartments are available, and include flexible breakout zones in the living spaces. Although part of a wider six tower development designed by Kavellaris Urban Design, VS02 will carry interior finishes independent to those of the first tower. 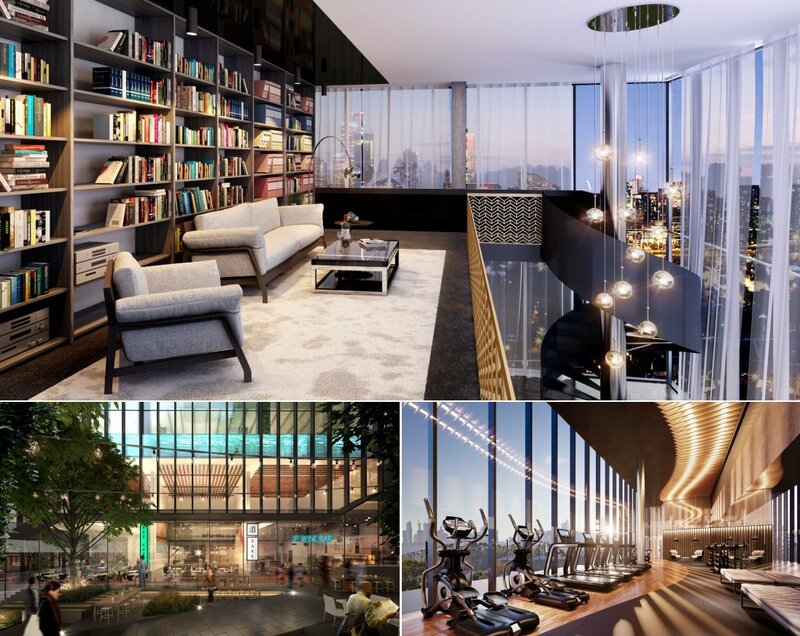 On the amenities front, the entire development will include an Australian-first outdoor running track, fitness zones, split-level dining room and a Warde Street laneway retail hub. The release of VS02 comes as Joseph Road Precinct begins to take shape with major projects either side of Victoria Square in development. 2 Hopkins Street has begun its sales campaign, while 22 Hopkins Street's first phase is well into construction. Victoria Square at 8 Hopkins Street will be among the urban renewal area's largest developments, having been granted approval for 939 dwellings.